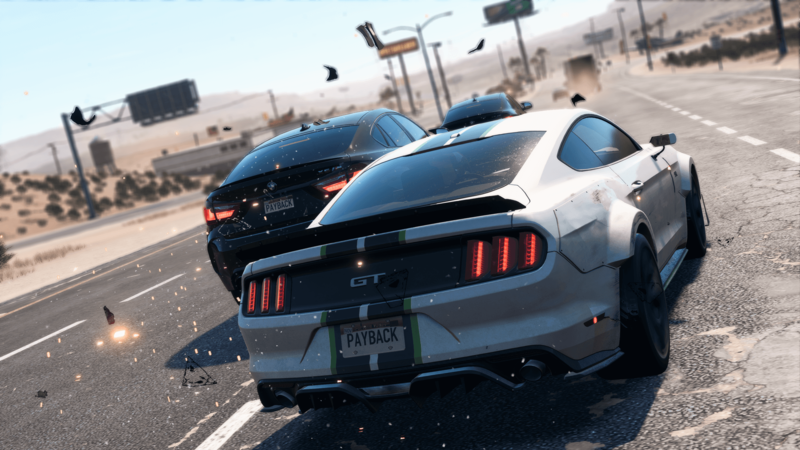 Electronic Arts has announced a new promotional event in Need for Speed Payback in which players can earn five Premium Shipments for free by simply playing the game. To take advantage of this offer, you will need an active subscription to EA Access – if you’re on Xbox One, or Original Access – if you’re on PC. This offer is not available to PlayStation 4 users. Once you have your EA Access or Origin Access subscription, all you simply need to do is play Need for Speed Payback from February 12th – February 20th and you’ll unlock five Premium Shipments at no cost. Don’t have Need for Speed Payback? Your EA Access or Origin Access membership includes 10 hours of game time, and this will also qualify you for the free Premium Shipments. Of course, if you already have the game, you simply need to log in once at any time during promotional period to qualify for the bonus Premium Shipments. One Vanity Upgrade – such as underglow, air suspension, neons, and more. One Part Token – an assortment of Part Tokens that can be used in the Tune-Up Shop. 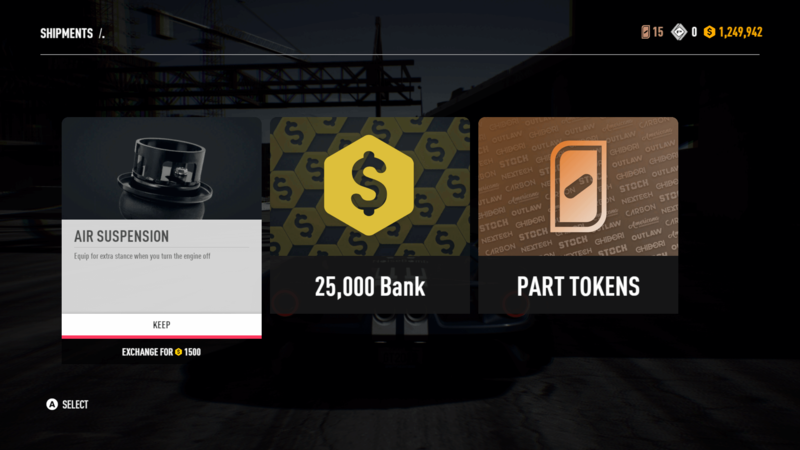 One Bank Token – an amount of in-game Bank that can be spent on cars and upgrades. Two Wild Card items that can be any of the above. EA Access and Origin Access are subscription services operated by Electronic Arts on Xbox One and PC, respectively. 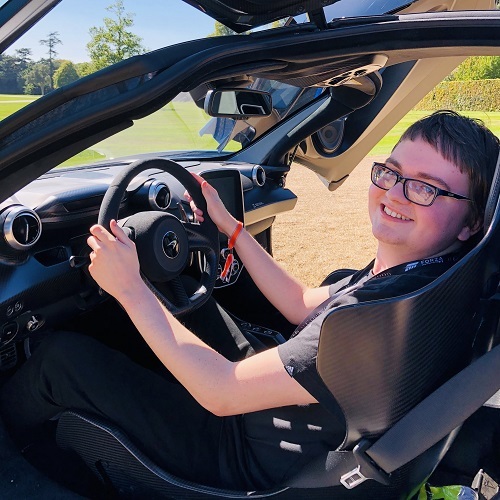 They include unlimited access to a selection of titles in The Vault, including Battlefield 1 and Titanfall 2, and 10-hour trials of newly-released EA titles, including the likes of Star Wars Battlefront II and Need for Speed Payback, as well as upcoming hits that can be played five days ahead of launch such as Anthem and new EA Sports titles. Both services also offer a 10% discount on EA and Origin purchases, including add-on content and microtransaction bundles. Remember, you have until February 20th to log onto Need for Speed Payback with your EA Access or Origin Access membership to quality for the free Premium Shipments. The promotional event begins on February 12th and has been done to celebrate Valentine’s Day. The free Premium Shipments will be distributed to qualifying players from February 23rd. Need for Speed Payback launched in November for Xbox One, PlayStation 4, and PC. Ghost Games has promised new content for the open-world racing game in 2018, including the addition of online freeroam. When you return to Fortune Valley to earn those Premium Shipments from EA, you might as well stick around for a bit and hunt down the latest hidden Abandoned Car. Ghost Games will also have a new 'Under the Hood' article detailing what's coming next to Need for Speed Payback on Monday.